Everyone loves Jennifer Aniston! Exhibit A: She’s turning 50 on Monday, and a metric ton of celebrities gathered at Sunset Tower Hotel in Los Angeles on Saturday night to celebrate her life — even ex-husband Brad Pitt showed up for Aniston’s star-studded birthday party. Although it’s tempting to ‘ship these two again upon hearing this, don’t get too excited. 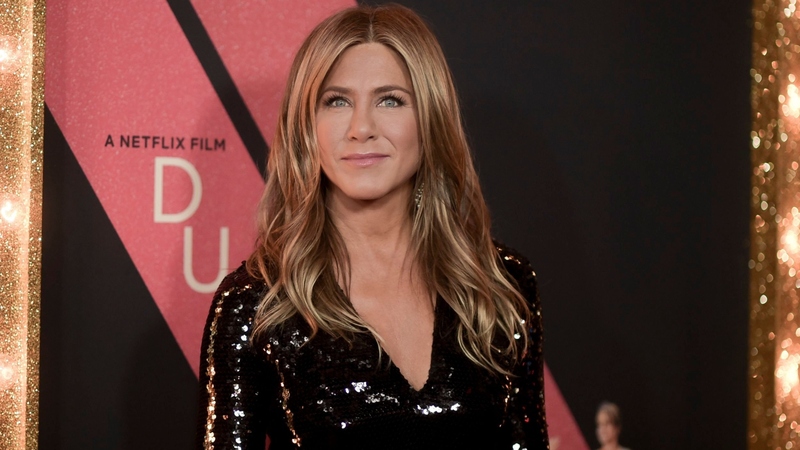 As the source told People, Aniston is focusing on herself and her friends — and she now considers Pitt a friend. And what great guests she had! Among Aniston’s other loved ones in attendance were George and Amal Clooney, Reese Witherspoon, Robert Downey Jr., Katy Perry, Ellen DeGeneres, Gwyneth Paltrow (another one of Pitt’s exes), John Mayer (another one of Aniston’s exes), Orlando Bloom, Barbra Streisand, Keith Richards, Kate Hudson, Laura Dern, Demi Moore and Jennifer Meyer. Oh, and naturally, a few of her Friends costars came, too: Lisa Kudrow and Aniston’s long-time BFF, Courteney Cox. Thankfully, we live in the age of social media, meaning we didn’t need an invite (although, admittedly, that would have been fun) in order to get a behind-the-scenes peek at all the birthday fun. A photo booth set up inside the party made it particularly easy to get cute photos of Aniston and her closest friends. Per the Daily Mail, Hudson “got permish” from Aniston to post photos from the party, which Perry pointed out in the comments had a “no social media” policy in place. But Hudson certainly wasn’t the only one who shared a few insider moments from the night. Journalist Derek Blasberg shared some killer collages featuring a virtual who’s who of party guests. Aniston certainly doesn’t appear to be shying away from this milestone birthday — she continues to live her best life with the best friends. Come Monday, she’ll undoubtedly embrace turning 50 (and fabulous) with the trademark grace her guests all clearly love about her.